BMW Z4 3.0 HUGE SPEC SAT NAV! This car was previously owned by 1 lady as a company car so was maintained by BMW I bought the car of her she was a customer and ordered a new car. I bought the car with the wife in mind but truth is we don't use it. I went to Italy in it last year skiing and it was a fantastic drive. There is a fault with the passenger air bag and I haven't had it fixed. 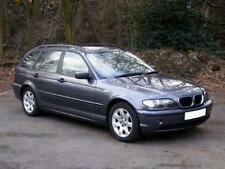 This car is a real bargain for the price and I am sure if you view it you will buy it. Bmw z4 3.0 se in toledo blue 114200 miles. 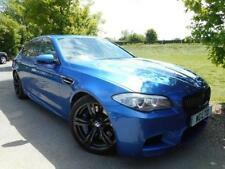 nice alloys with all 4 good tyres.electric roof in great condition.rear parking sensors.upgraded front headlights. black leather interior in lovely condition.air bags all round.brushed aluminium console. 2003 BMW Z4 Convertible.- 2.5 Auto. MOT Jan 20 (no advisories). Selling due to lack of use. Owned it since Jan 17 - only done 2300 miles since purchased. Mileage 82,546. Overall condition very good. Everything works as it should. Currently SORN. Advertised elsewhere. Cash On Collection. Viewings welcome. Black leather, sat nav, heated seats. BMW Z4 2.5 AUTOMATIC ROADSTER CONVERTIBLE 2003,WITH SPORTS BUTTON,FULLY WORKING ELECTRIC ROOF WITH ELECTRIC WINDOWS,BLACK LEATHER INTERIOR,FULL DEALER STAMPED SERVICE HISTORY,2 KEYS,REMOTE CENTRAL LOCKING ,ALLOY WHEELS,EXCELLENT CAR DRIVES FANTASTIC VERY SMOOTH GEARBOX ITS GREAT,JUST HAD FULL SERVICE AND HAS 12 MONTHS MOT,READY TO GO ,.....VERY RARE IN AUTO ,,,,GRAB A SUMMER BARGAIN , PX CONSIDERED 07704784145. Model: Z4 23I (EUR). Mileage : 66000. Fuel : Petrol. S694A: Provisions for BMW 6 CD changer. S387A: Wind deflector. Locking wheel nut key : Locking wheel nut key present and in the toolkit. Test result: Pass. Bmw z4 2.2 se manual. Black leather interior, unmarked. Car is currently sorn, was only ever a second car. Drives beautiful. Only bad point is a very small dent on the passenger side front wing size, hardly noticeable and pictures do not pick it up. Genuine BMW Composite 'Split Rim' 108 Alloys. Low mileage in great condition for its age. Great fun to drive and doesn't disappoint. Factory wind deflector (with stowing brackets in boot). M Sport suspension. BMW Z4 3.0L E85 for sale. Black BMW Z4 04 Plate. Both original BMW keys are present. Auto wipers. Auto xenon lights. Heated seats. Rear Passengers Side - 5. Rear Driver Side - 5. Just 2 owners, Full service history ! LewisWood Bros Ltd - Call us on 441670333747 or click here to find out more. 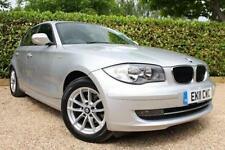 BMW Z4 2003 2.5 petrol manual, se. Super low mileage vehicle - 54,000 miles. Bodywork and paint is also in great condition for its age, as is the underside of the car, as pictured. 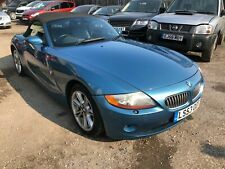 A 2005 05 BMW Z4 2.0i SE in Toledo Blue with a very good history, long MOT and nice spec. Great history, MOT March 2020, M Sports seats etc. Serviced at 14240, 31521, 47494, 66265, 73777, 85582 & 87545 miles.